The "Silver state" known for its large silver mine industries is 7th largest state in size, the 35th most populous, and 9th least densely populated of the 50 United States. 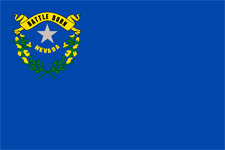 The capital of the state is Carson City and the largest city is Las Vegas. Nevada is in the top preferred state in the auto shipping industry. A large part of the state is mild dessert that experiences hot temperatures in the summer and cold temperatures in the winter. The Humboldt River crosses the state from east to west across the northern part of the state, draining into the Humboldt Sink near Lovelock. Several rivers drain from the Sierra Nevada eastward, including the Walker, Truckee, and Carson rivers. Nevada location is one of the most important one's in the West. There are several major interstate routes that makes the auto transportation easy task to accomplish (Interstate 15, Interstate 80, Interstate 515 , Interstate 215, Interstate 580). I-15 is a very important interstate that leads directly to the biggest city in the state: Las Vegas. 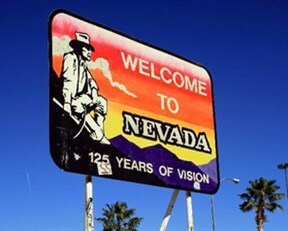 Nevada is one of the 7th state in U.S. with no individual and corporate income tax. Despite the major belief that this is the state of the "Sin city" more and more people relocate there to find a new opportunity for job in their fields. Nevada is one of the largest silver and gold gain in the country. That opens up more jobs for people in the metalworking, biotechnology and pharmaceuticals industries.